I'm at the two and a half week point before we jet off to Canada (where there is currently snow on the ground still!) and I am getting my freak on with checking things off my master list and one of the items I had yet to purchase was some kind of hand baggage organisation; a purse of some kind, big enough to keep my travel essentials safe and in one place inside my on-board bag and easy to retrieve whilst on the go. 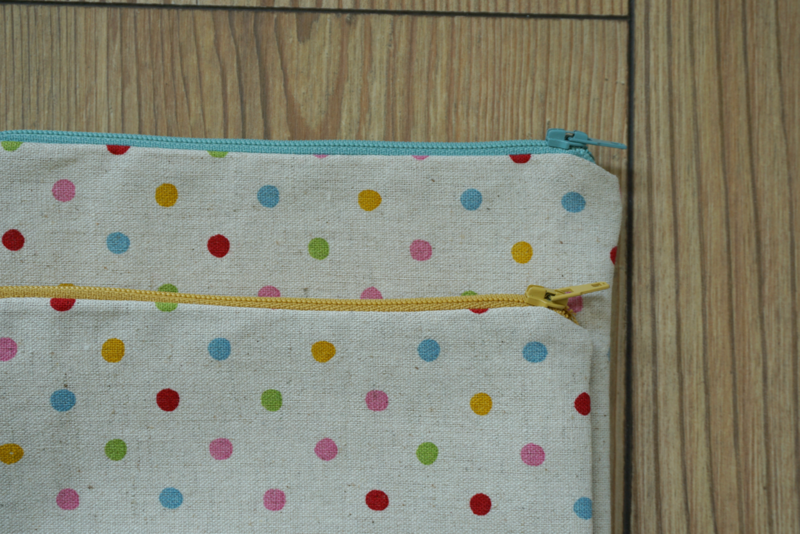 Step forward this super quick and easy DIY zipper pouch tutorial by crafty blog Lil' Luna! 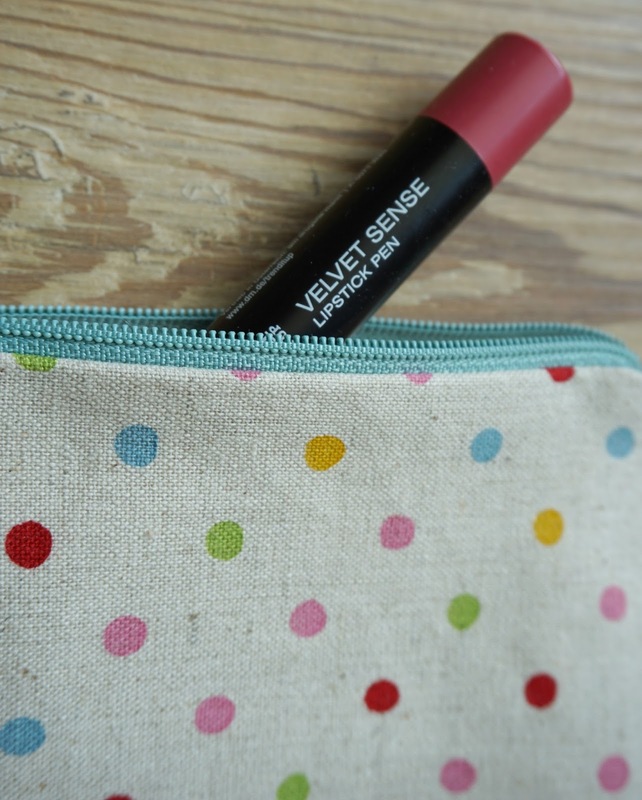 This simple DIY took me about half an hour from start to finish and I was so pleased with the results I whipped up a second purse immediately after! 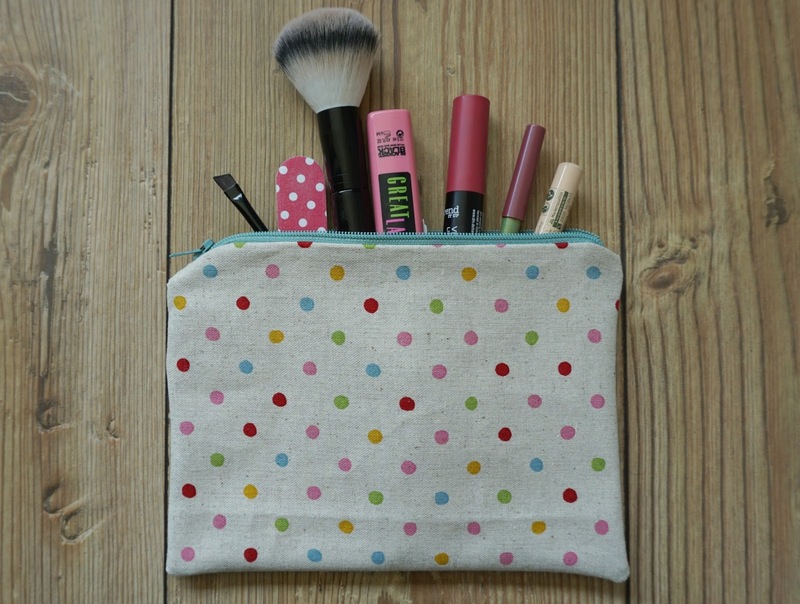 This uses a tiny amount of fabric (perfect for busting your fabric stash!) and can be made to any size you need and of course in any colour/ patterned fabric your sparkly heart desires. It is fully lined and fitted with a zip which makes it nice and secure for all your on the go treasures. 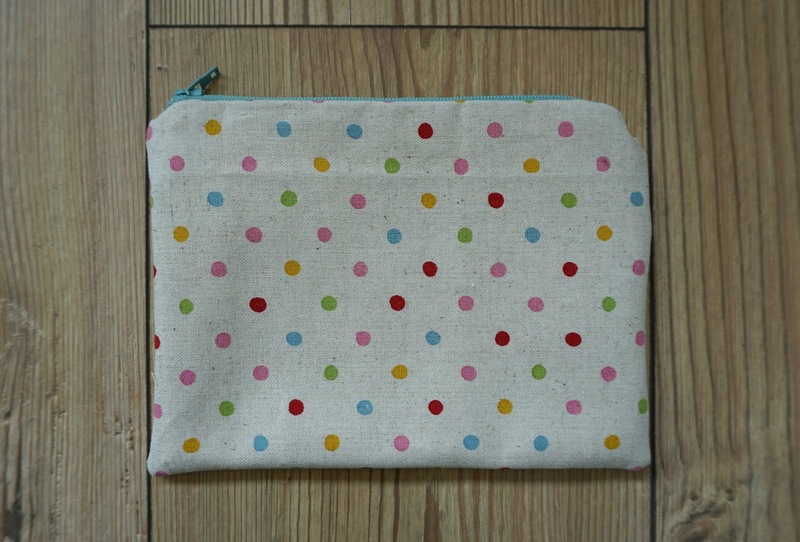 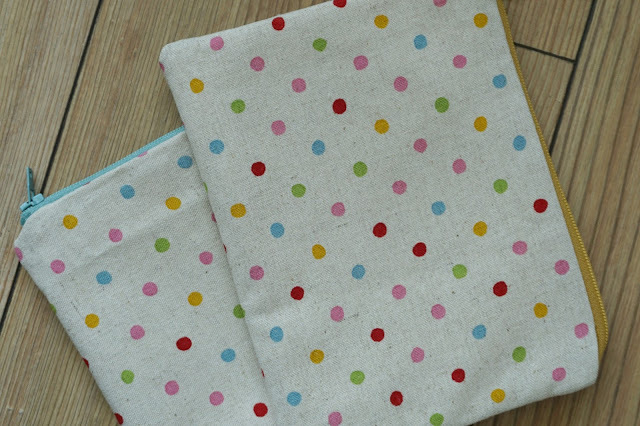 The gorgeous dotty fabric was a cheeky purchase I made from the off-cuts basket in one of my favourite places to shop for sewing supplies Guthrie & Ghani in Moseley village, Birmingham and the zips I picked up somewhere long ago! 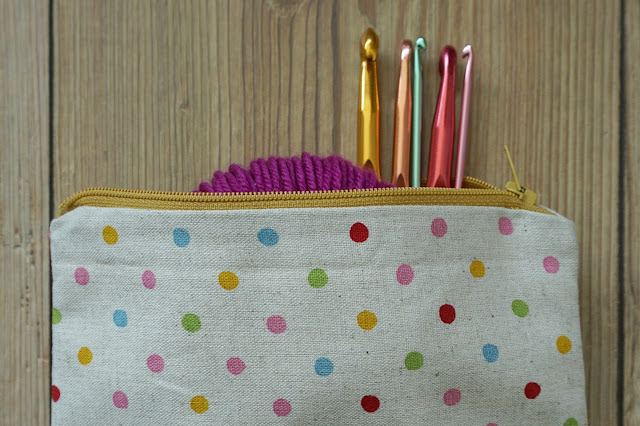 I highly recommend you give this fun tutorial a whiz, being sure to mooch through the heaps of creative posts on her blog or even have a browse round pinterest for further ideas and inspiration! A great DIY to use up left-over materials and bright, handy organiser for life on the go. 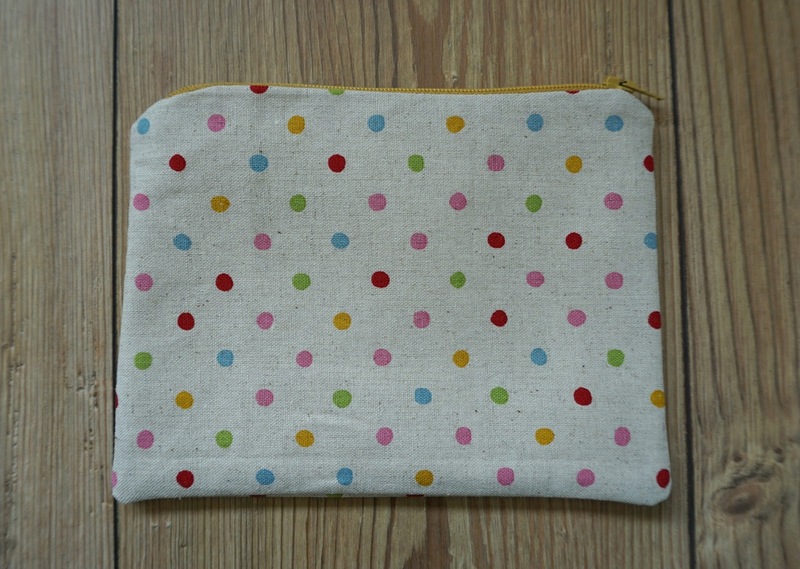 I now plan to make a tiny one to hold my Canadian dollars and one big enough for my kindle!